NOTE: Once a month I plan on reposting a piece written by one of Carolyn’s Online Magazine (#COMe) followers and one piece written by members of the Foothills Writers (formerly the Beanery Writers Group), Latrobe, PA. I read sun-kissed strawberries on Maria Johnson’s WordPress site, another cup of coffee. Maria was one of the first persons to begin following #COMe when it began in January (#COMe evolved from CAROLYN’S COMPOSITIONS which ran out of space after 1337 posts). Thank you, Maria. sun-kissed strawberries spoke to me on several levels. Like Maria, I sit on my patio and watch the wild strawberries among my sunning weeds change from green to red. Even though there is a slight harvest, they are delicious snacking as I stroll through my yard. Strawberries take me back to a child born in mid-May 45 years ago, a child meant for my husband Monte and I, a child born as the strawberries were being born. The June morning she was released from the hospital I was picking strawberries at a farm in Ohio. When I returned to my Western Pennsylvania home “the call” was waiting—our 5# 1 oz. baby girl was released from the hospital…Our strawberries on the living room coffee table were forgotten as we headed to Pittsburgh, where we became parents to Sandy, whose mother had released her to our care, to receive sun-kisses for 45 years. 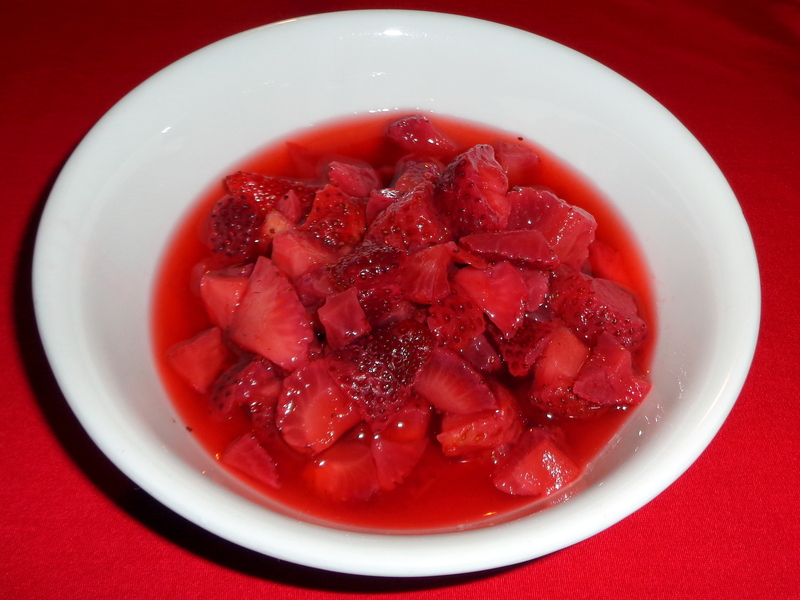 I think back to my years in Slippery Rock, Pennsylvania, when I made strawberry jam and filled my freezer with fresh-picked strawberries that would cheer our family’s winter table. Just this past Sunday homemade (by Monte) strawberry shortcake served as a birthday “cake” for a close family friend and guests at her 60th birthday party. This entry was posted in GUEST WRITER, Reblogged and tagged All, All posts, Journaling, Latest post, Life, Misc, Miscellaneous, Musings, postaday2015, Reblogged, Strawberries, Strawberry memories, Strawberry musings. Bookmark the permalink. 5 Responses to What Memories Do Strawberries Trigger for You? 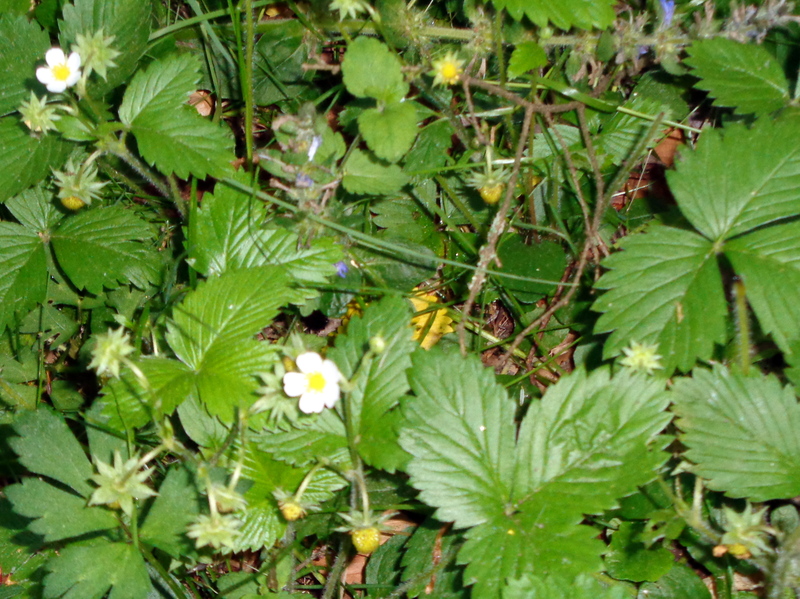 I can remember picking wild strawberries in an abandoned camping area. Old pans and coffee cans slowly filled, stems and all. Mom told me and my brother to do that so the berries wouldn’t get crushed, My sister rested on a blanket near the car in the shade. When we got home, we would remove the berries from the stems. Jams and strawberries were in the future. Wild berries were always less sweet than the tame berries. Mom simmered the berries in a huge kettle and ladled them into hot jars. She would seal them with a layer of hot paraffin. Then they sat on shelves until they were needed to cover toast in the winter. Thanks for your comment, Tom. Probably many people have “strawberry stories.” But ours are the best. LOL. When I was little the only strawberries I saw were the frozen strawberries, the kind that came in the white tins from the grocery store. I loved them and thought that was what a strawberry should be UNTIL one special summer day. On that day my best friend, Susie, guided me down a long, very long and steep set of yellow brick steps. These steps lead from our lane down to the lower road. At the bottom of the steps there was a large old wooden house where Susie’s great grandmother lived. Susie’s great grandmother was different than my great grandmother who lived in an apartment and who I guess was more of a city or town type of person. Susie’s great grandmother was a country type and wore her gray hair in a bun and she wore a long cotton dress with an apron. I think it was a black apron. She was tickled to meet me and for some reason we talked about Halloween and tick tacking which I had never heard of. She explained that as children they used to throw dried corn at peoples windows. That was interesting. I don’t remember any other parts of the conversation but I know as we left she dazzled me by taking us over to her garden and handing us each a huge fresh strawberry. When I see or taste strawberries my mid travels back to that special summer day in the garden of Susie’s great grandmother and I can almost feel the sun as I remember my first fresh strawberry. What happened to the strawberries left on the table when you and Monte went to the hospital to get Sandy ? We had two college students renting a room from us, and they didn’t let the strawberries spoil—they prepared them for the freezer.